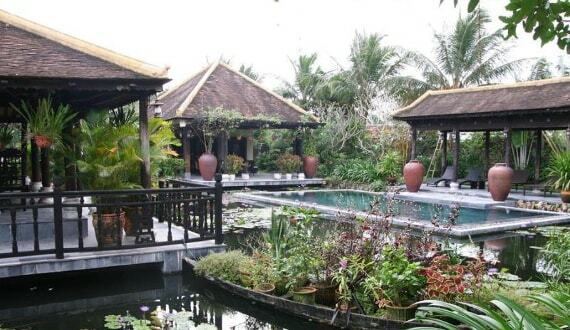 This place is a kind of rural resort where is located away from hustle and bustle of Hoi An city life. 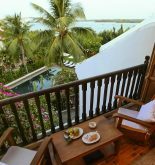 Because of being situated at outskirts of Hoi An in a peaceful Cam Thanh village, it is just distant a short walking distance to come the pristine Cua Dai beach. Moreover, it is also distant Hoi An old quarter 2 kilometres where is known for its unique charm of houses and temples being preserved very well. 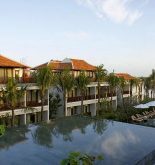 This resort offers modern rooms which have the beautiful view of countryside and frangipani garden. On a relaxing afternoon, tourists are able to rest at room next to swimming pool. Other services include laundry, babysitting, tours and opportunity taking part in cooking class. Whether you would like to enjoy a normal or special meal, the frangipani village resort will service the local dishes of Hoi An. 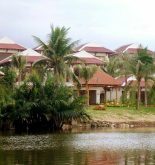 Villa Hoa Su – Frangipani Village Resort will be a great choice, if you are looking for the most peaceful and quietest place staying away from bustle of city. Address: Hamlet No 5, Cam Thanh Ward, Hoi An, Quang Nam, Vietnam. This information has been supplied by Villa Hoa Su – Frangipani Village Resort.